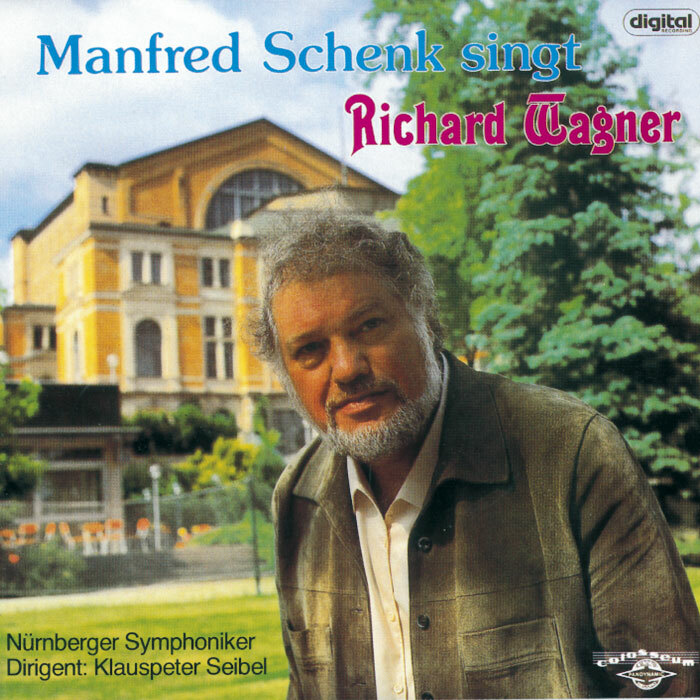 The bass Manfred Schenk would have been 80 on 23 January 2010. Today, more than ten years after his death, this graduate of the music school at Stuttgart and erstwhile pupil of Heinz Jarius in Frankfurt/Main still richly deserves to be counted amongst Germany’s outstanding singers, as is shown by a retrospective of his national and international career. After early engagements in Regensburg and Gelsenkirchen he was already being heard in the Zurich opera house in the 1960s. During his long and extremely successful years in Frankfurt, guest contracts also took him to many festival venues including Vienna, Glyndebourne and Bregenz as well as the opera houses in Rome, Barcelona, London and San Francisco, before the New York Metropolitan Opera secured him with a firm contract. The list of his appearances in Bayreuth alone would surpass the limits of what is offered here. The excitement he brought to the “green hill” is conveyed in this recital of a handful of particularly beautiful excerpts from the work of the Master.